Please sign the register each time you come. Name tags are provided free of charge for financial members. Subscriptions may be paid to the Treasurer before meeting starts, during supper break, or at the end of the meeting. Library: Library books, videos, journals and reference material are available for borrowing for one month at a time. Sales: A selection of books, and members badges are available. Minutes of the previous meeting are taken as read (as printed in the monthly journal. Correspondence is read by the Secretary. 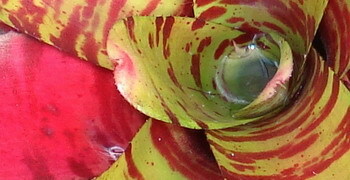 Members are encouraged to bring any bromeliads for discussion, e.g. naming, plant problems, special interest plants etc. The discussion is usually led by a senior member. Write down the number or letter of the plant you wish to vote for on each table and circle your OVERALL FAVOURITE. Place voting paper in the container at the table next to the door. The winners of each section are announced, followed by (if time permits) plant spotting where a senior member selects various plants of interest for discussion. A draw is made from the numbers beside the names in the register. The first four names are on the broom to sweep the hall on completion of the meeting. The exceptions are life members, tea makers and committee members. A block of letters will called next until everyone in turn has been called. When it is your turn, you may select ONE plant from the sales table. Take the piece of paper and plant and pay the treasurer, then return to your seat. It is important to remain quiet during the ballot so everyone can hear their turn. Once all the name have been announced, purchases may be made from the remaining plants on the sales table. Competitions: Competitions are divided into novices and seniors. Members entering plants must fill in the forms on the tables. Members are encouraged to use plant pots (plastic or terracotta) Ensure plants are empty of all water and the pots are clean. Three points for second place. Five points for first place. The points accumulate towards the annual prize giving at the November Meeting. Names of the placegetters in each category are printed in the journal. 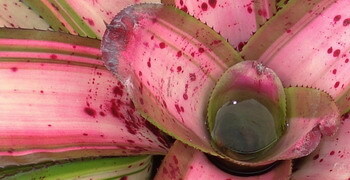 Members wishing to sell plants must provide the Treasurer with a list of plants sold. The Treasurer has the form available to sellers. There is a commission of 20% on plants sold. Cheques for sale plants will be issued next meeting.